Intra-family CEO leadership succession is a challenge for family businesses. The new CEO (successor) leadership behavior can be perceived more or less (dis)similar to that of predecessor behavior and, thus, affect employees reactions towards this organizational change, specifically successor leadership effectiveness. 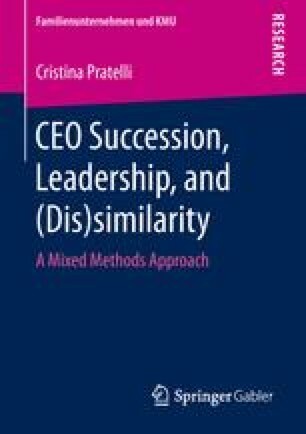 However, this multiple-case study explores what factors may play a role for successor leadership effectiveness in ten family businesses based in Germany, Italy, and Switzerland. A list of (more or less effective) leadership behaviors and moderating factors (family business perception, co-leadership, successor youthfulness) have been found and a theoretical model with propositions has been proposed. Theoretical and practical implications of these findings for family and non-family businesses are discussed.